Following on from last years successful pilot programme in instrument making, Ballyfermot College of Further Education (BCFE) is pleased to announce that the college is now offering an instrument making strand as part of the college’s existing Higher National Diploma in Music Performance Programme (Ceoltóir). The instrument making strand is run in cooperation with Na Píobairí Uilleann and commenced in September 2018. This new programme in Musical Instrument Making and Performance is of 2 years duration and currently has 3 strands, Uilleann Pipe making, Flute making, and Whistle making. The flute and whistle strands are taught by renowned flutemaker Hammy Hamilton and the pipemaking strand is taught by Donnacha Dwyer on behalf of Na Píobairí Uilleann. All instrument making classes are taught in Na Píobairí Uilleann’s PipeCraft Training Centre , Clonshaugh, D17. The aim of this unique programme is to cater for a skills shortage within the traditional music community in terms of instrument making, to enable students to develop their musical skills and understanding of Irish Traditional Music and to equip students with the skills and academic qualifications to enable them to have a successful career in music. Graduates who achieve a merit/distinction profile are eligible for entry to the final year of the college’s BA (Hons) in Media Production Management programme which is accredited by Dublin City University. Applications to the Ceoltóir programme and to the instrument making strand can be made through the college website www.bcfe.ie . Na Píobairí Uilleann are excited to announce the launch of their new ‘Learn’ series of videos. This series focuses on the fundamentals of playing the uilleann pipes. It provides students with tips on how best to approach their playing, in order to avoid common pitfalls. The suggestions offered here, when adopted, facilitate ease of playing. It is hoped that teachers and makers of the instrument will also find the series useful. We recommend that you initially view the videos in the sequence listed. Ideally a student should have access to regular tuition with an experienced piper and teacher. Na Píobairí Uilleann supports pipers and aspiring pipers in locations around the world. If you need any assistance locating a teacher in your locality, please refer to the list of teachers here or email info@pipers.ie. As the uilleann pipes are a complex instrument, the wide range of resources provided by Na Píobairí Uilleann are invaluable to pipers and pipemakers at all levels of expertise, and we invite pipers, pipemakers and teachers to join the organisation here. If you have any questions or comments in relation to the series, please email learn@pipers.ie. The series can be accessed by clicking on the ‘Learn’ button located along the main banner of the Na Píobairí Uilleann website or by following this link. Scoil Samhraidh Willie Clancy 2019 will take place from Saturday 6th July to Sunday 14th July. 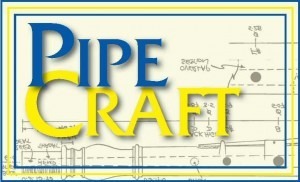 Daily piping recitals will be held at 1:15pm in the Community Hall. Piping concert will be held on Wednesday 11th July at 8pm in the Community Hall. Class bookings for reedmaking and uilleann pipes can be made by phoning +353 (0)1 873 0093 or emailing info@pipers.ie with your name. For room reservations at the Riverside Hotel please book directly with the hotel on +353 (0)71 91 94480. Please mention that you are attending the Tionól when booking to secure the agreed prices for the weekend. The cost is €145 per person sharing including Bed and Breakfast and one evening meal on Saturday. Arts Council Project Award 2019. Cuirfear fáilte roimh iarratais i nGaeilge.